Learning a language abroad is an adventure. You get to see places and meet people that are worlds away from your everyday experience. You learn a new way of thinking and communicating. You also get the chance to try new things, or indulge a hobby that you are already into. One experience we can fully recommend is surfing. In some destinations, we offer special language PLUS surfing programmes. On one of these courses(or any of our language PLUS courses), you split your time between language tuition and professional training in the additional activity. But even in destinations where we don’t offer a specific surfing course, you will be able to hit the waves. We offer language courses in some of the world’s top surf destinations. Sounds good? Check out 10 of our top destinations for a language course with surfing on the side! Australia’s long and spectacular coast offers some of the most renowned surfing in the world. In and around Sydney, for example, Curl Curl, Long Reef, Narrabeen, Bilgola Beach, Whale Beach, Palm Beach, Manly and the iconic Bondi are hugely popular surf beaches, ideal for experienced surfers. Beginners may find the crowds a little intimidating, but that offers the perfect excuse to explore further along the coast and discover more of beautiful Australia. Outside of Sydney, we offer English courses in prime surf destinations including Byron Bay and Gold Coast, home of Surfers Paradise. These offer a different surfing experience to Sydney; less “big city”, more laid-back surf town. And in the far west of Australia, on the Indian Ocean, Perth has some of the best surf beaches in the world, with pure white sand and waves for all levels of surfer. We offer English + surfing courses in all of these destinations, the only question is… where do you want to go? Remember, once you have found your feet on a surfboard (and with the English language), you can travel to as many of Australia’s surf spots as you want during your time away. 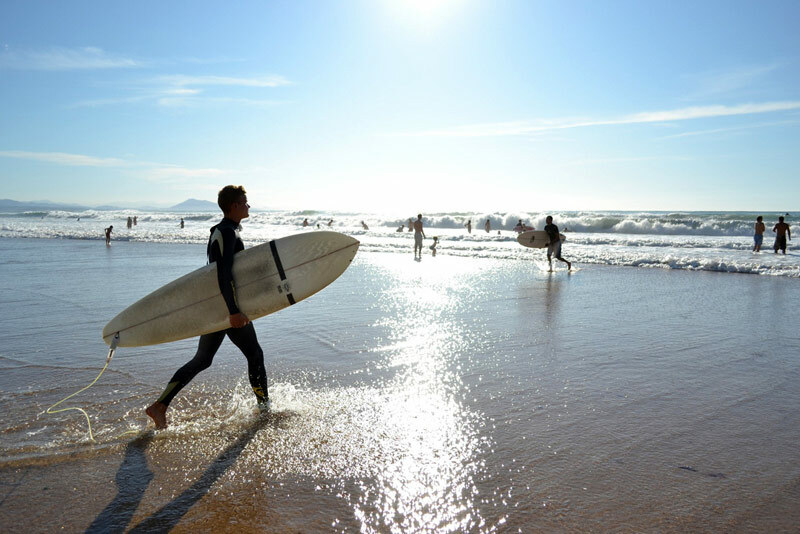 Find out about an English + surfing course in Byron Bay, Gold Coast or the Sunshine Coast. Or check out your options for an English course in Sydney here. The West Coast of the USA is iconic. 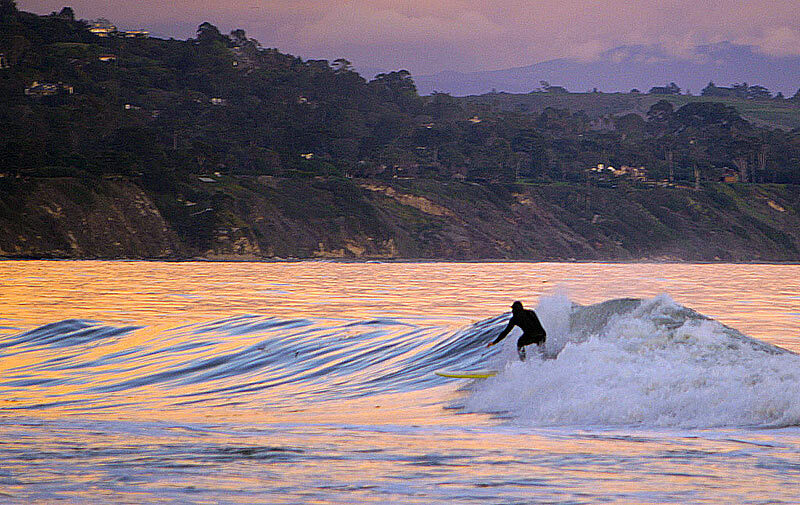 Putting aside Hollywood, San Francisco and Silicon Valley; ignoring Rodeo Drive, the Golden Gate Bridge and the Sierra Nevada mountains… this is a superb place to surf. We believe it is a great place to have your first experience on a surf board. California may be one of the most developed places on the planet, but, when you are surfing, it is still you out there with a board underneath you and a huge ocean in front. It’s a humbling experience and an important one. After your first proper wave – even if it only lasts for a couple of seconds – you will be hooked. That was certainly the experience of our staff who tried surfing in San Diego. And if you don’t fall in love with surfing? Hey, you’re in California, you’ll find plenty else to do! Hawaii is the home of the big wave. 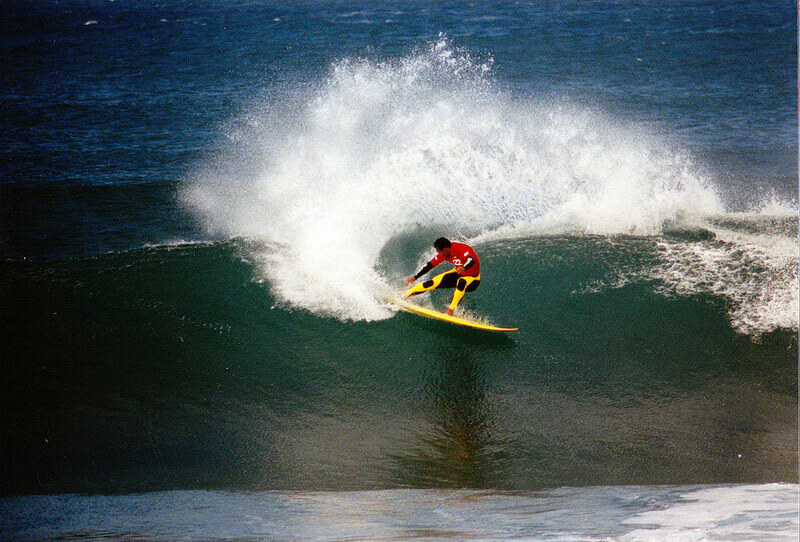 Surfing is closely entwined with Hawaiian culture and people have been riding the waves here for centuries. For serious surfers, there are few better places on Earth. Of course, even if you don’t surf, the beaches are fantastic! New Zealand is the place to get in touch with nature. When humans first arrived there around 800 years ago, they found giant (and tasty) animals strolling around with no natural predators. The big animals are now gone, but there are still plenty of big waves. We offer an English + surfing course in Whitianga, on the Coromandel Peninsula, where you can combine 15 English lessons each week with 10 surf lessons. Our students regularly give us very positive feedback about the great value on offer in South Africa – your money goes further than in most parts of the English-speaking world. And, unlike anywhere else, you can go on safari when you are ready to leave the seaside! “The Friendly City” of Port Elizabeth sits at one end of the Garden Route – some of the most spectacular coastline you will ever see. Port Elizabeth is also known as a leading surf destination and almost 100 surf spots are within easy reach of the city. Just 10 minutes away along the coast, “J-Bay” is a legendary surf town that offers an enticing mix of laid back living and excellent surf. The Billabong Pro comes here each July: one of the world’s top surf events. Kitchen Windows, Surfers Point and Super Tubes offer world class waves… at Super Tubes they can last upwards of 40 seconds. National Geographic calls San Sebastian one of the world’s top 20 surf towns. But San Sebastian is so much more than just a surf town. The Basque capital is one of the best places to eat in Europe, where tapas (pintxos) have been elevated to an art form. The city offers a different side of Spain that still has the energy of the large cities, but with something more European in the air. It is also beautiful and doesn’t get as punishingly hot as Andalucia or Madrid. Playa de la Zurriola is the surf beach, Playa de la Concha is the sunbathing beach that can almost disappear with the tide. And there is a beautiful walk between the two, with large sculptures adding a surreal twist. Another of National Geographic’s top 20 surf towns, Biarritz offers an intriguing blend of glamour and great waves. The city may be most famous as the resort of choice for European aristocrats, but the beaches are also among the best surfing locations in Europe. To get the best waves, you need to get up early in the morning and be prepared for some goose pimples (wetsuit definitely required). The Portuguese capital is an elegant, charming city that is great to visit any time of year. The views from the hills that ring the old city centre are spectacular – particularly at night at the town twinkles below. If the beautiful, vibrant streets of the Bairro Alto get too much for you (they heave with people until the early hours), there is no better cure than a morning of surfing. There are waves for all levels of surfer, from beginner to pro. Brazil’s long Atlantic coastline has some exceptional surfing spots. 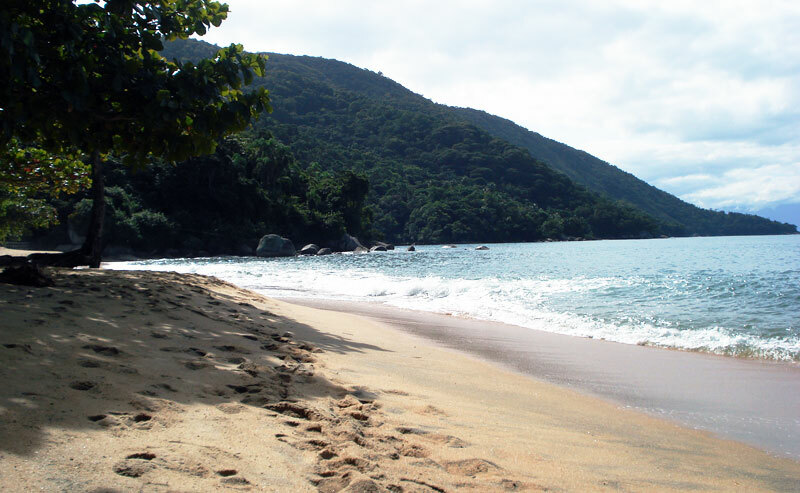 The southern states, in particular Rio de Janeiro, offer famous if crowded beaches. Head north and you have less crowds and more dramatic scenery. If you take a Portuguese course in Salvador or Olinda, for example, the North East Brazilian coast offers spots for connoisseurs in an amazing natural tropical environment. Find out more about a Portuguese course in Brazil. That’s plenty to daydream about! But we can make your language course and surfing trip a reality for less than you may expect. 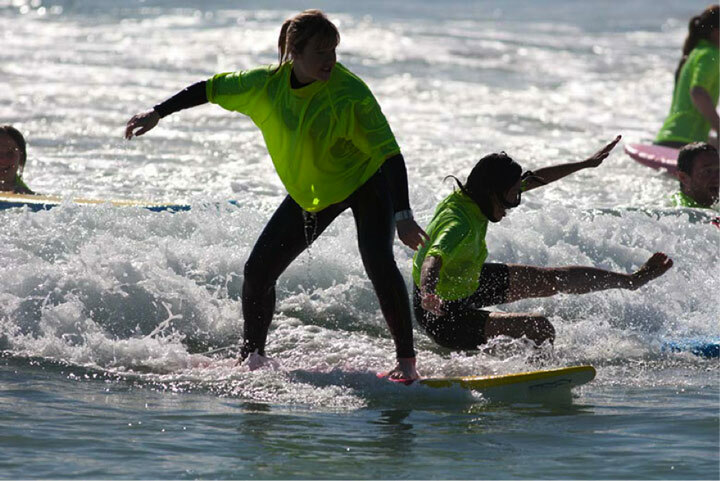 For a taste of the surf lifestyle and another authentic experience of life abroad, we regularly offer free surfing lessons to our students. Contact us to find out more.